So I iam newly of electronic field and subject. I want knowledge that area of electronic circuit. So how can find any one equal transistor and any one electronic parts. so I have a data book. I find C828 that transistor. 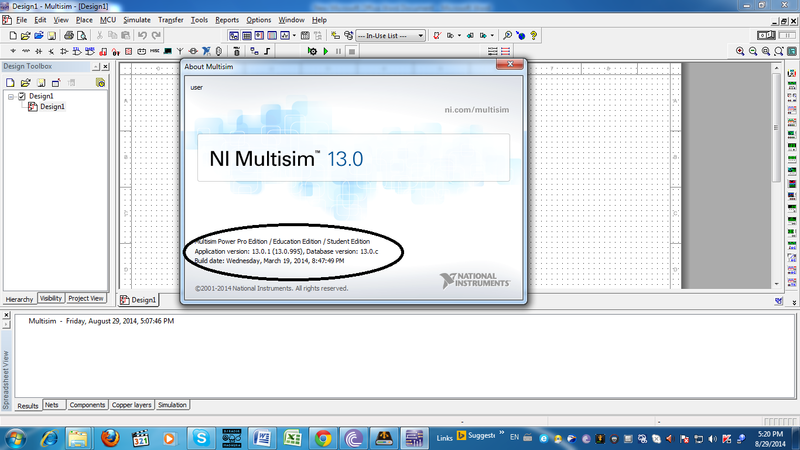 Then I tried that by multisim software ver 13. But I cant find that. So data book have comparison type is BC 327, BC638, BC640, 2SCB647. So then I find that comparison type. So sad I cant find, please help me that how I can find comparison type model by data book to multisim software . 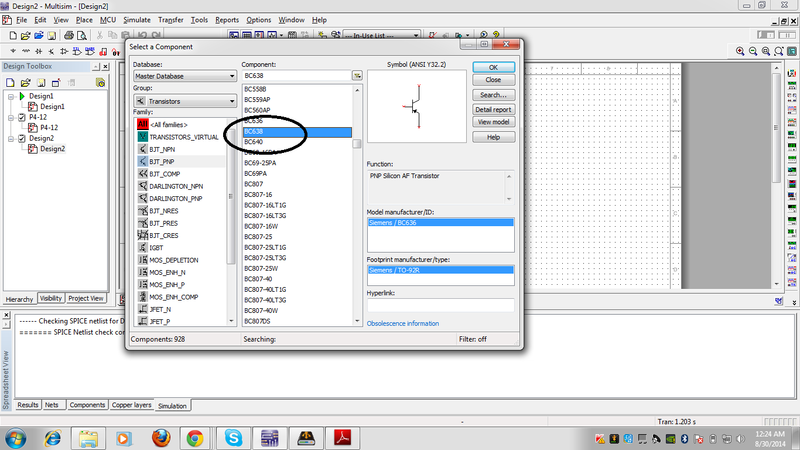 I found the BC327, BC638, BC640 at the main database of Multisim 13.0.0 (13.0.632), database version: 13.0.a. Have a look at the attached screen shots. Perhaps you have to update your programm and database. I hope this can help you find your comparison type. I think you could not find the comparison type, because you searchd for a npn-type transistor of the family BJT-NPN. If you select <All families> or BJT_PNP family you should find the comparison types BCxxx. thanks lot lenny sir. so my software update verion is ok. hear with attached of image. pls what is problebm . helow lenny sir. finaly i was sucessed and won. your second answer is wonderfull. thanks lot sir. hear with aataced my image is comparison transistor. 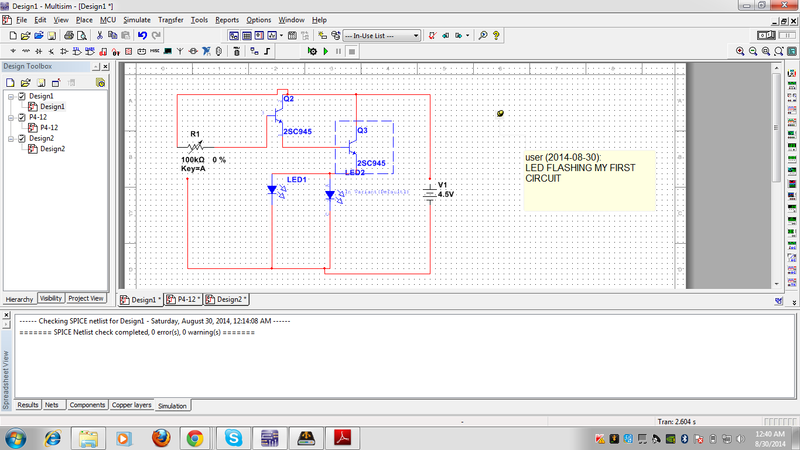 JUST I USING by multisim SOFTWARE AND CREATING MY FIRST LED circuit . then i after finaly run that circuit. but no led flashing, i dont know that it is flash or not. how is checking this circuit working or not . and other i will try creating small circuit . but i dont know that checking wrong or corect. pls how to check ? first you have to contact your power source at the top to allow current flow through the parts. You need in practice a current limiting resistor for your diodes and a switch to pull down the base of the first transistor Q2. Very important is a grount connector at the low potential of your power source. I have attached an simple example for switching two LEDs on and off. thank you sir. so can you send that your simple example for switching two LEDs on and off multisim original running file. then i can that file open and run. thanks again sir for help me.